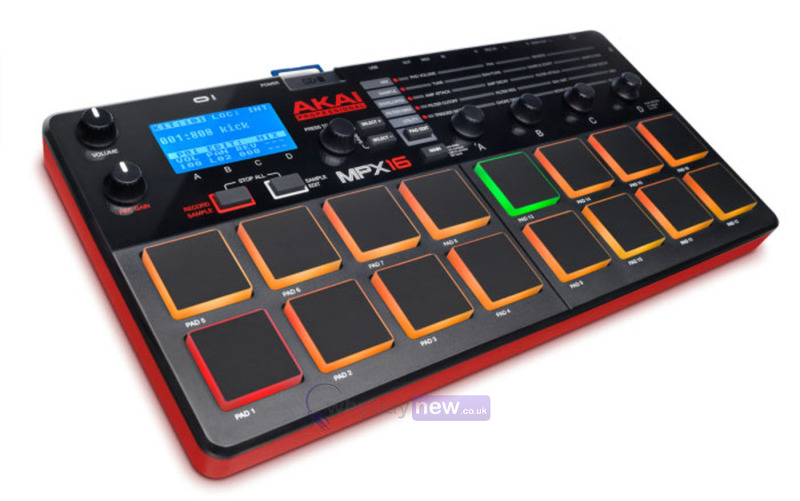 The fantastic Akai MPX16 plays and records .WAV samples using SD cards for powerful, reliable performance in live and studio situations. 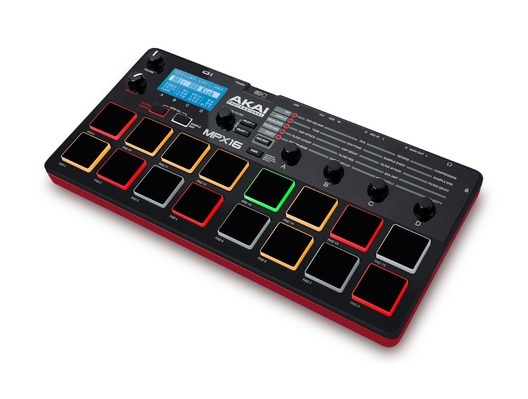 Like the popular MPX8, samples are triggered internally from the highly responsive MPC-style pads or an external MIDI device via USB-MIDI and 3.5mm (1/4-inch) MIDI inputs. 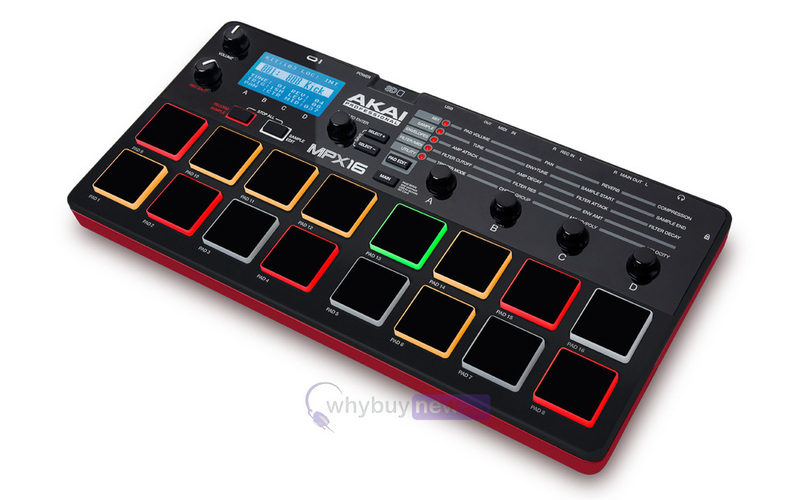 Also a feature-packed MIDI pad controller, the MPX16 is equally capable of launching clips or adding trigger pads to a producer's studio. Samples can be captured at CD-quality using dual 6.3mm (1/4-inch) inputs or the on-board stereo microphone and saved to an SD card. The user may assign audio clips to the pads and apply tuning, filters, envelopes and "choke" grouping for creative, dynamic performances. An LCD screen and illuminated trigger pads provide visual feedback during use, and the MPX16 may be powered from a USB port or the included power supply. Naturally, users may load existing sound files onto an SD card or use the MPX16 as an SD card reader for drag-and-drop convenience on a Mac or PC. A software tool for even easier sample management is included via download. 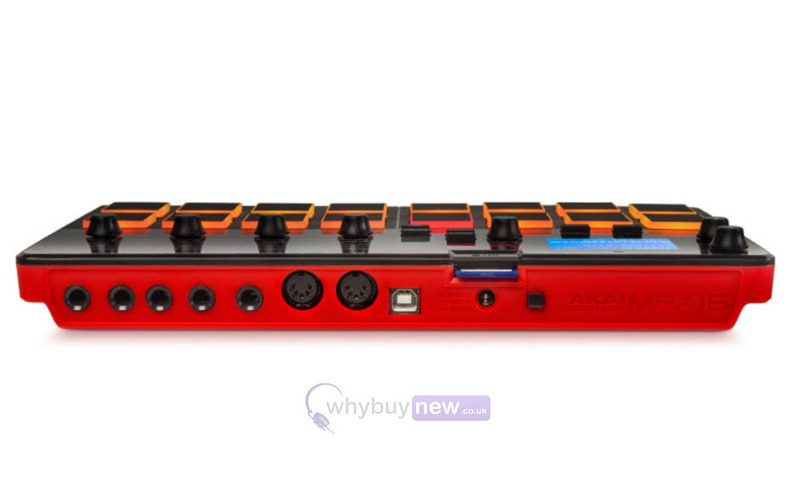 Here we have the Akai MPX16 in brand new and in B-Stock. The B-Stock versions would have been on display at a training evening or trade exhibition only and will come boxed 'as new' with all accessories and a 1-year warranty. Nice neat unit which works well and was easy to learn. Recommended. Great sample pad. Great presets all needed to add to it is an SD card. Fast deliver too.